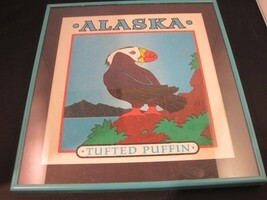 This is a listing for a framed print of Alaskan Tufted Puffin. It has a green frame with a black matte. 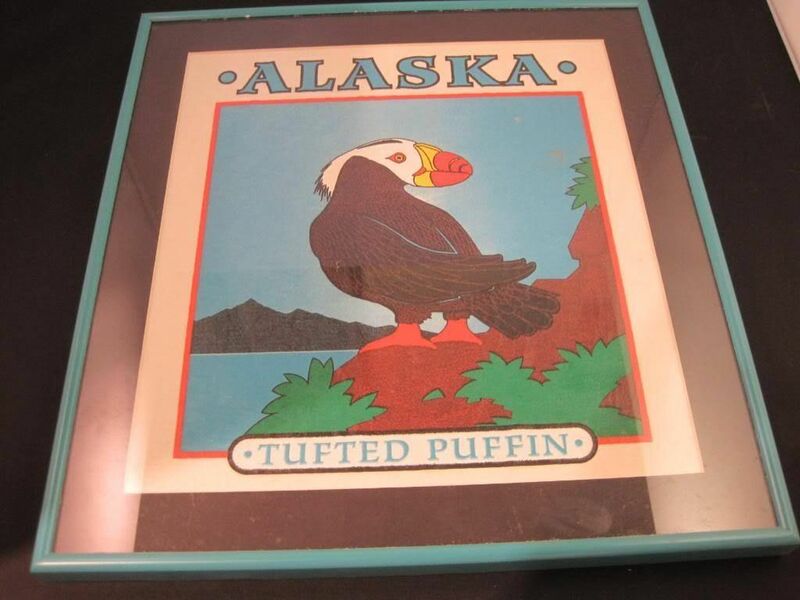 It says "Alaska Tufted Puffin." It measures 12 3/4" x 12"